We're back from Belgium - exhausted but happy. I'll tell you all about it next week once I have time to recover, upload photos and write. You might remember that one of the things we were looking forward to was being able to take drives - road trips, short or long. The weekend before last, we decided it was high time to go for a drive and check out some of the beautiful scenery Rogaland has to offer. Norway is known for it's fjords - narrow inlets of water with steep cliffs on either side. In fact, the entire West coast is filled with these and Stavanger sits at the edge of one of the most famous in the country - the Lysefjord. It is home to the famed Pulpit Rock (or Preikestolen) and Kjerag and it's possible to take in the views via boat, car or on foot. 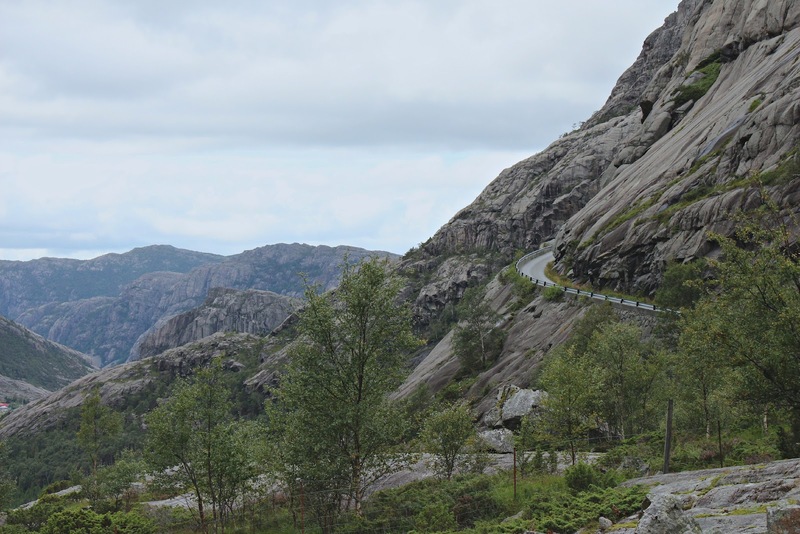 While we have plans to hike Preikestolen and we definitely want to take the boat down the fjord, we thought we'd drive it first. Yes, we drove up that tiny little mountain road and back down again. 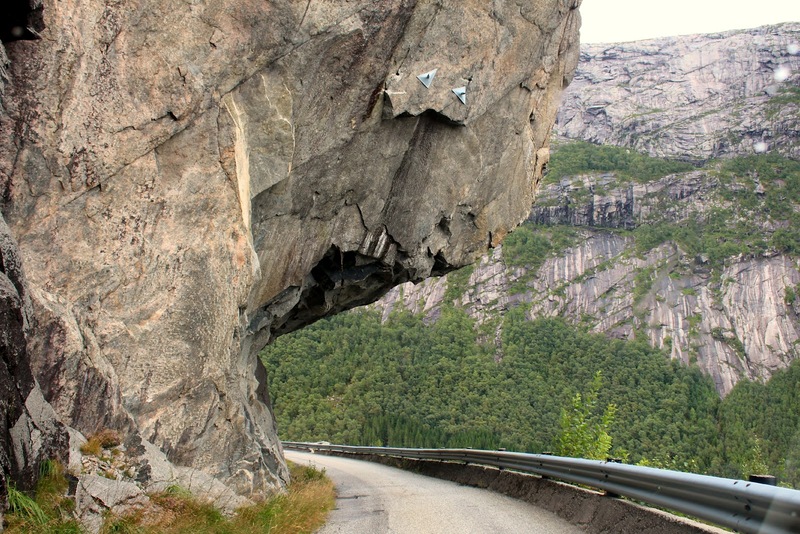 Norway has some scary roads. Main highways are of course, large, paved and up to the same standard as most highways in North America. Less common roads tend to be wide enough for a single lane of traffic (although both directions do use the same road) and offer small jut outs every 50 feet to allow on coming traffic room to pass. The speed limit is typically 80 km/hr and when you are driving up the side of a mountain with no where to go but down, it's a little terrifying. The Town of Tau - a large ferry transports us back to Stavanger from here. I don't think we'll ever get over just how beautiful this coastline is and both of us are excited to explore it more! Pictures like this make me want to move to Europe. It looks so beautiful! Make me want to move back to Rogaland! I don't have so many options here in Oslo. @Anon - I don't think we made it down that far but that road looks crazy! I'm going to keep your recommendations handy for our next trips! Thank you! Wow. amazing pictures! It blows my mind how much natural beauty there is in this crazy world. You must have had a blast. These pics are amazing!! Would love to go there! yeay for roadtrips! the coastline looks pretty spectacular! enjoy! Your photos are gorgeous! 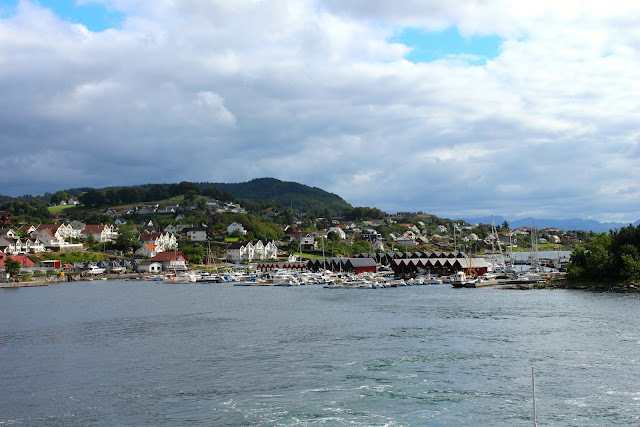 My uncle and aunt just returned to the U.S. after living in Stavanger for two years, and throughout their stay there I was completely amazed - and occasionally a bit terrified! - by the photos of their hiking trips in the area. We don't have a car (or a boat! you guys are fast...) so thanks for showing a little of what the surrounding coastline looks like. 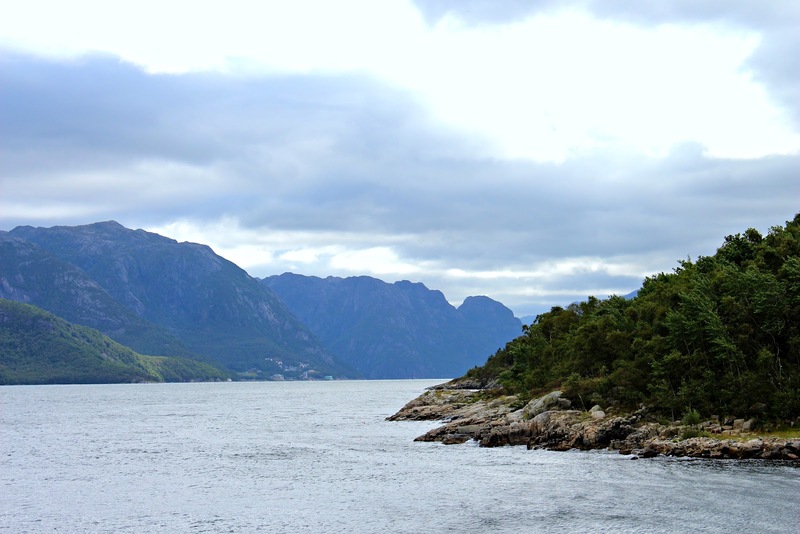 Everytime I see pictures from Norway, I am in awe. 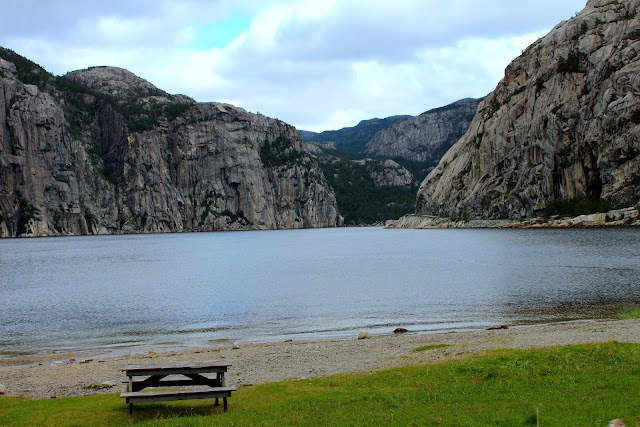 Sometimes I am like, whatever this person just went to the best spot ever, but the more I follow you Norway bloggers, I realize the whole place is hard to beat! These are awesome photos!! you know what!! How fun to see pictures of places I know so well :) I know exactly where you took the picture of that rock hanging over the road. 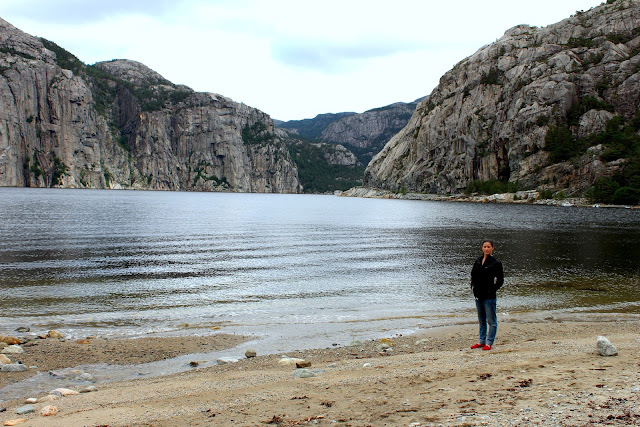 Glad to hear you're loving Norway so much, it's beautiful here, isn't it?